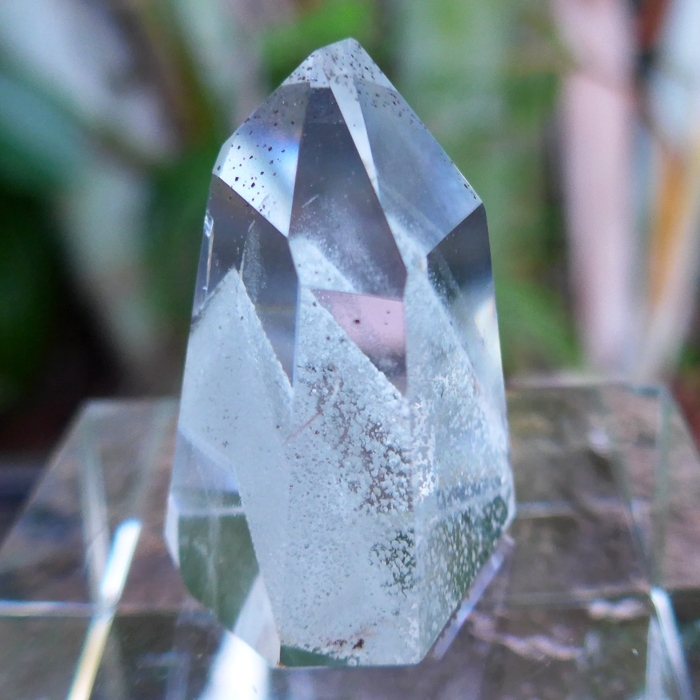 Dimensions (HxWxD): 1.45" x 1.33" x .98"
This rare, gorgeous, energetically powerful 1.45 inch high Polished Phantom Quartz Generator with Chlorite, weighing 1.3 oz. 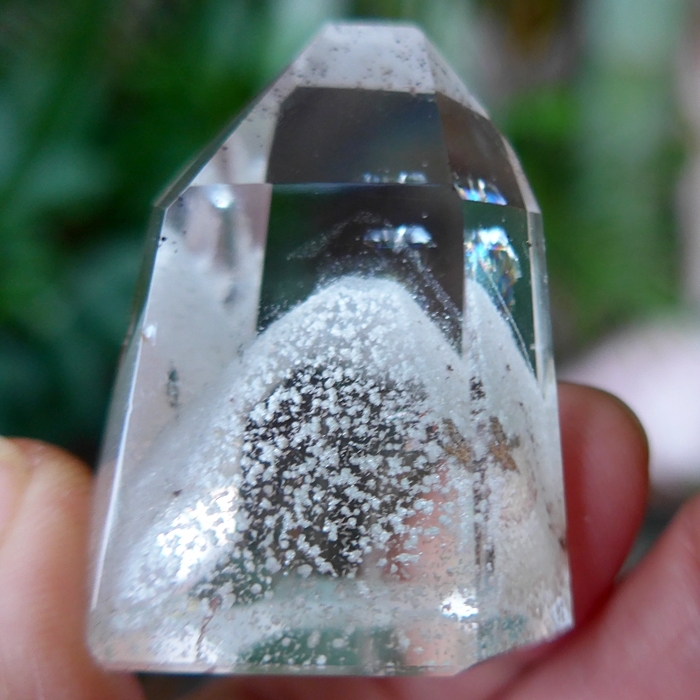 or 37 grams, comes from Minas Gerais, Brazil. We obtained this beauty from the collection of AGTA Fashion Forward award winning gemologist and jewelry designer Brian Cook. 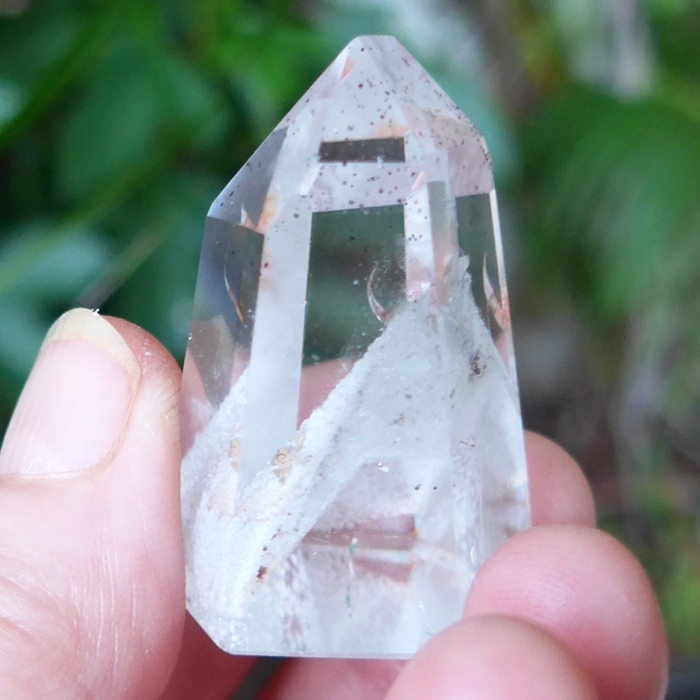 You can see a beautiful inner landscape within this crystal, which displays a strongly delineated white phantom formation, most likely made of chlorite, and some faint additional phantoms in the top of the shaft. 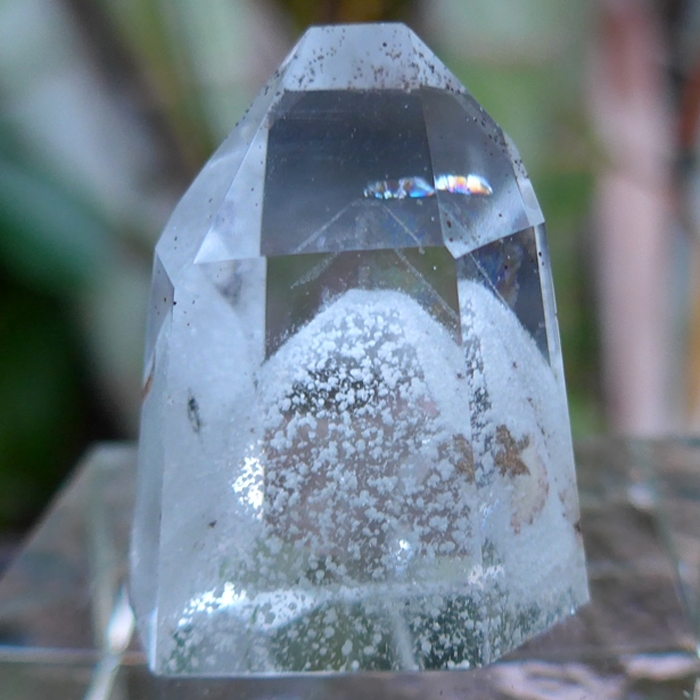 This amethyst crystals has been cleaned with Universal Life Force Energy, and given an energy attunement using Reiki, a Japanese technique of energy healing, so it will continue to receive and transmit Universal Life Force Energy direct from the Source of Creation. 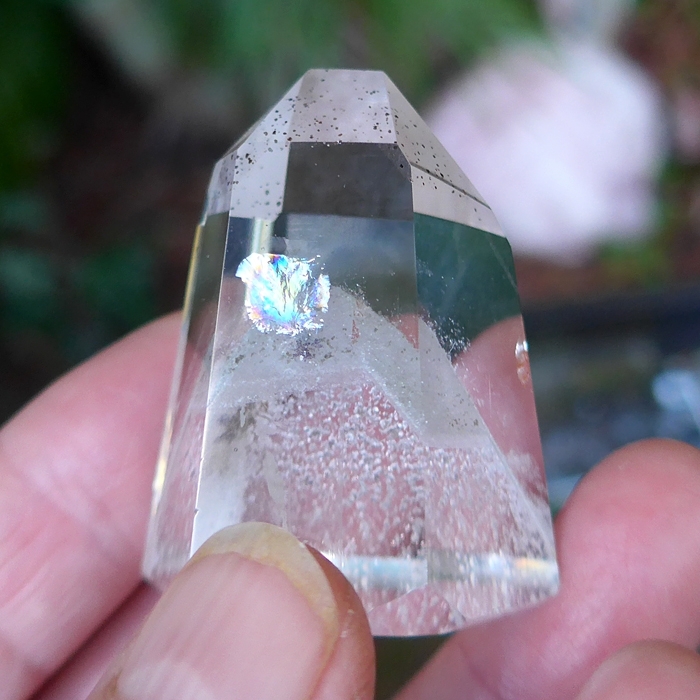 It has also cleaned and charged with the natural energy of sunlight. It is ready for you to program according to your own needs and desires. Note: Above weight is shipping weight. Net Weight is 37 grams or 1.3 ounces.